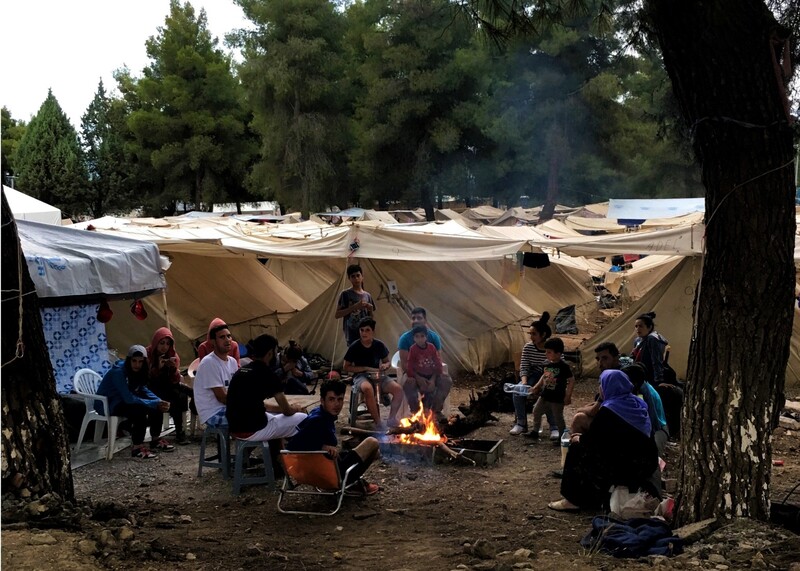 As of 20th May 2016, there are 54,230 refugees living in Greece & the Islands that only has a capacity for 42,100, according to UNHCR (UN High Commissioner for Refugees). 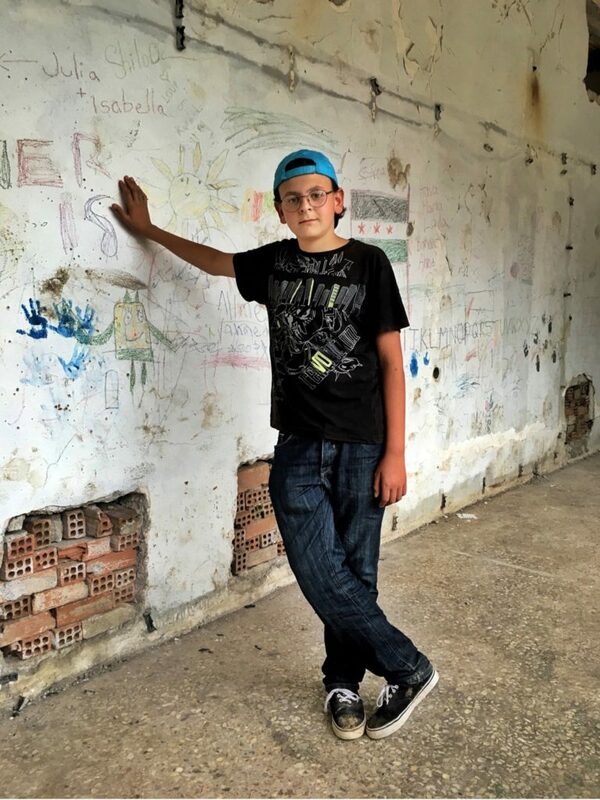 On a dark, overcast day in Northern Greece, at a disused crumbling airforce base surrounded by pine trees, I met Hamza, a 14 year old boy that wants not only to make a difference but to affect real change. 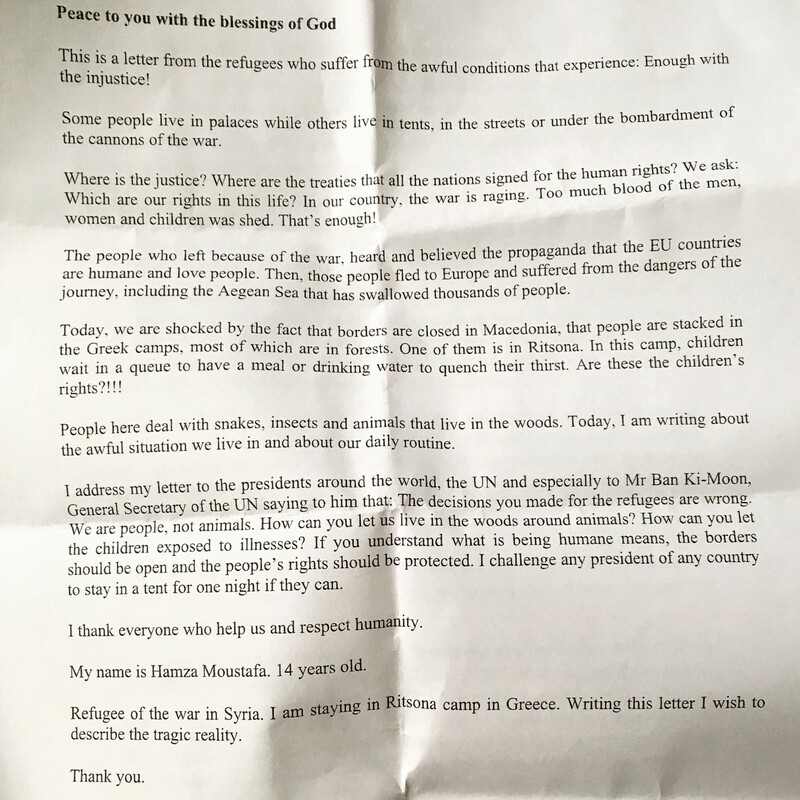 He had quietly sat in his tent one day and wrote a well educated, intelligent letter to the heads of states of influential countries to put across the point of the Refugee children and ask for change. He asked his Uncle, living in Germany, to translate it into English & a volunteer called Elena to translate it from English into German & other languages. 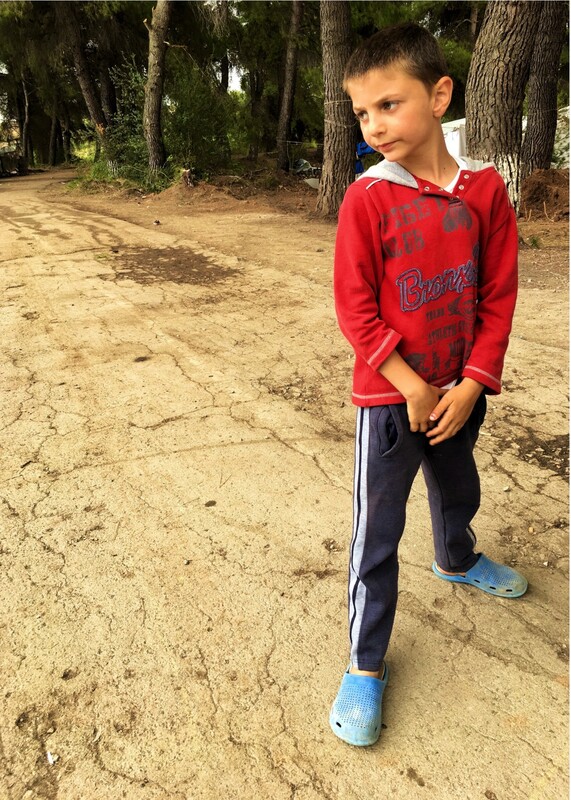 Elena is a friend of one of my sons, I adore her & we follow each other on Instagram where she posted a copy of the translation & so this story begins. Hamza is a normal boy, loves pizza, badminton, football & his computer, enjoys Physics, Biology, Sciences at school, fan of Batman & Spiderman films & wants to be a lawyer for human rights when he grows up, but hasn’t been in school for 2 years. The war has aged him, he seems much older than 14. 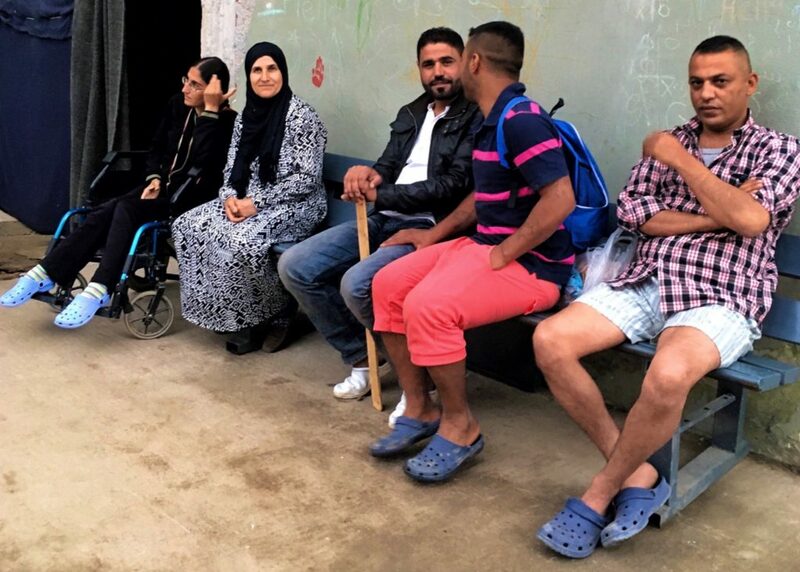 As Hamza shows me round, he tells me he loves all the people here and wants them all to be able to leave together, to meet up with their families who are waiting in other European countries. I also realise he blushes when I ask him to tell the story of the translation, to each unwilling & suspicious of a photographer/journalist refugee. Hamza hadn’t told anyone, other than his mother, that he had written the letter. As his confidence grows, along with the blushing & laughter, the people of Ritsona open up, for Hamza. 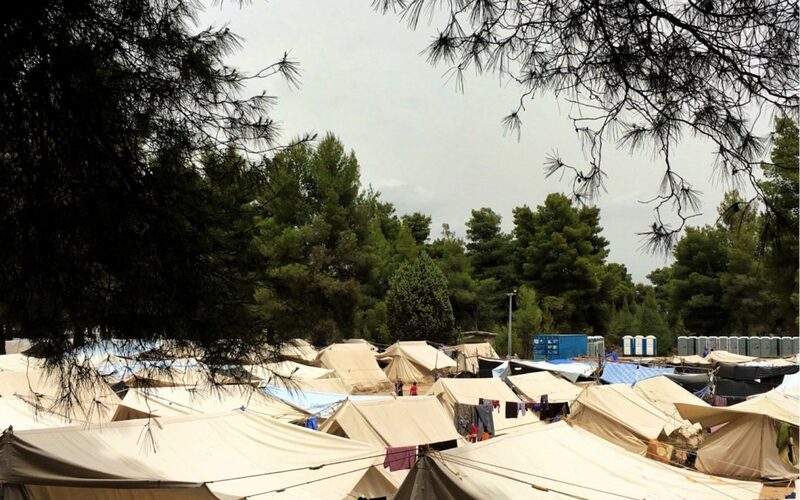 Ritsona camp is 2 1/2 months old, mainly Syrian, some Afghans, Yazidi’s & Iraqi’s, but really its impossible to be exact. 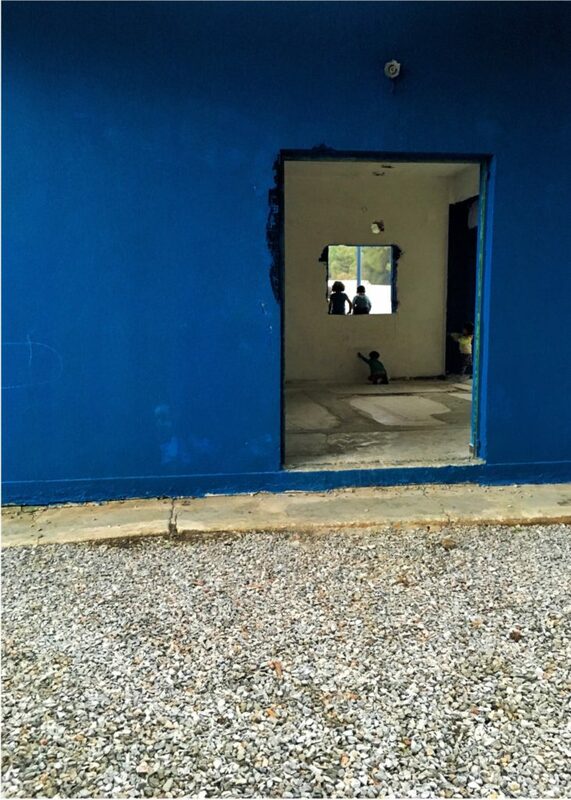 Lacks electricity & running water. Has hot 3 showers, 6 cold showers, 38 stench filled toilets for…900 people. The food that arrives is bland & monotonous. What they really want is to cook their own meals. They want to leave. They are a strong, independent people, highly educated & skilled. They ran the camp themselves until NGO’s arrived with specific roles. 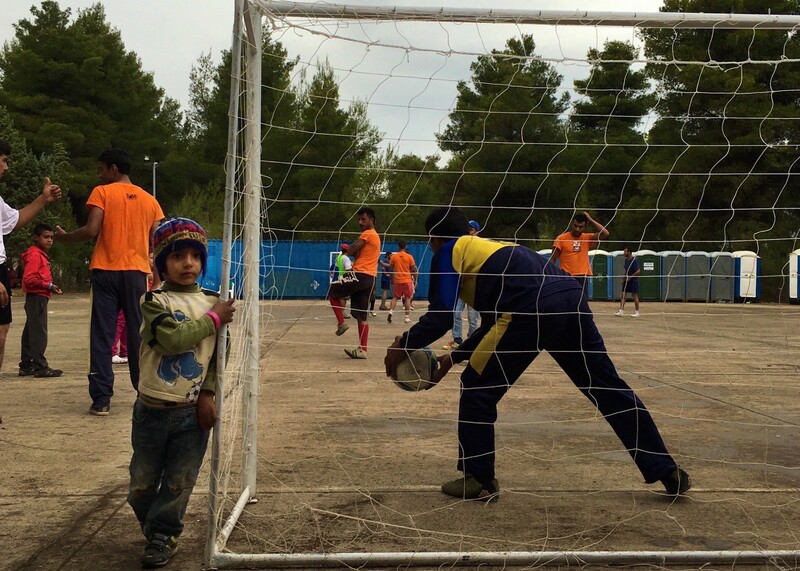 They have organised a community life, football matches are played every evening, 8 teams are organised. Concerts & entertainment are arranged within the group. They build their own furniture from anything they can find, fires, seating areas and have a strong sense of trying to help their own community. Not all like what they have become, some ashamed of others dependancy. The woman wear coloured Hijab’s on purpose to show they are not ISIS. The peace sign is shown everywhere. Private & proud attributes repeat, as I down another strong sweet coffee surrounded by overwhelming generosity from people that have nothing but also some of the best & warm company I have been in for a while. Meals are handed out 3 times daily. 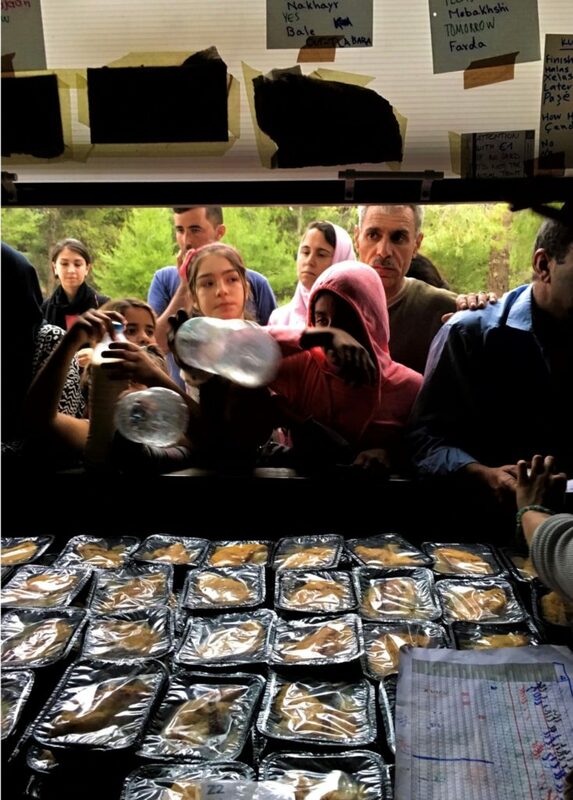 Refugees sit wherever they can and eat the provisions, clothes dry on the trees and they have tried to cover the open windows with plastic sheeting against the cold. The volunteers at Ritsona are astounding and some of the best & most dedicated that I have seen. 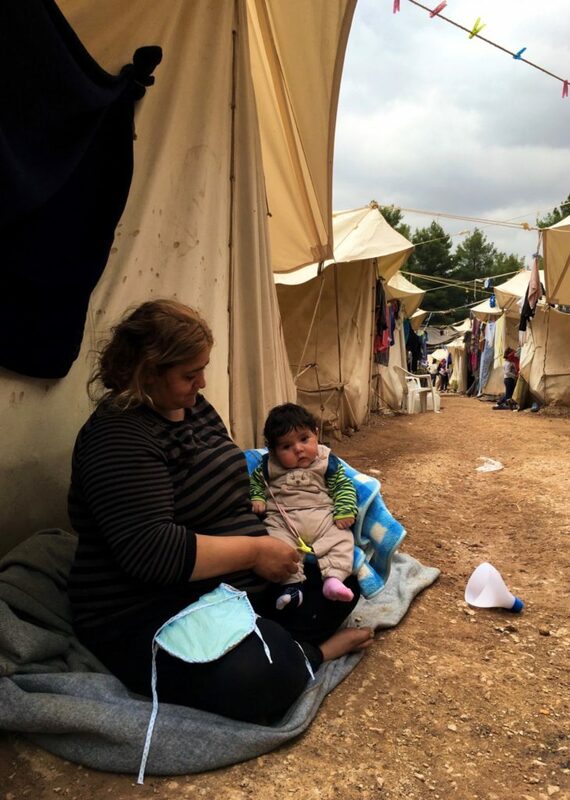 They work beyond their shifts daily, are dealing with recurrent refugees mental health problems, lack of the most basic facilities, running water, medical, electricity, drainage, etc., and have achieved extraordinary things. This is proven in the respect, friendship & love shown by the refugees to the volunteers. The children need schooling and education. Almost everyone is suffering from PTSD, many have mental issues due to the wars & the dangerous ripple effect within families is occurring. Add this present situation and frustration & despair is obvious. Many talk of their past lives, normal houses, jobs, lifestyles, hobbies, computers, universities etc.,. Normal life. Then they talk of their harrowing experiences, war, killing, the extreme brutality of humanity removed everything normal. Made worse by what & how they are living now. 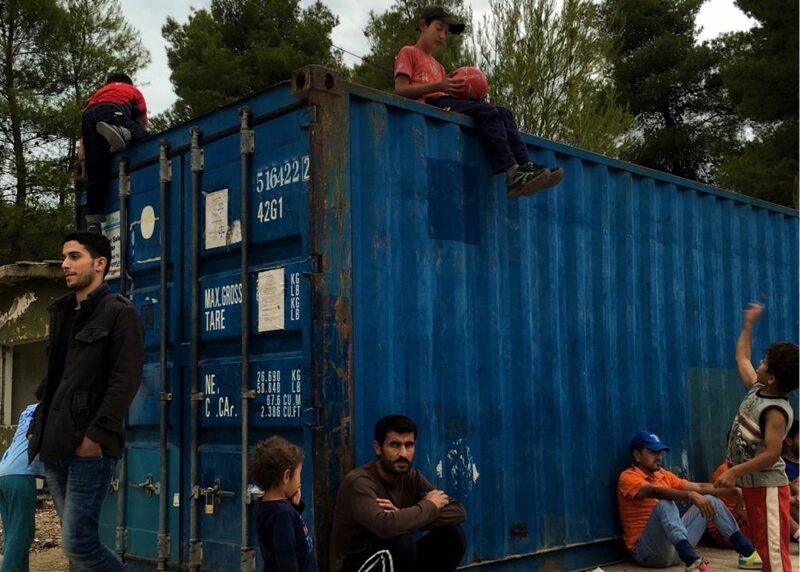 Europe is responsible for this and a real danger of refugee camps becoming detention camps. 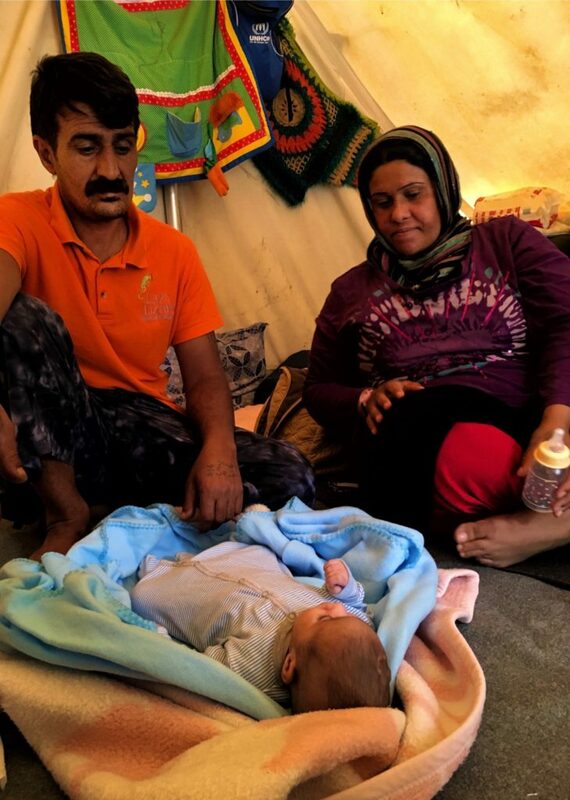 Mohammad, 40, and his 30 year old wife Aisa had the first baby to be born in camp. They named her Ritsona. At 1 1/2 months, Ritsona is paralysed & has already undergone 2 operations, leaving her with full length scars on her abdomen & the length of her spine. 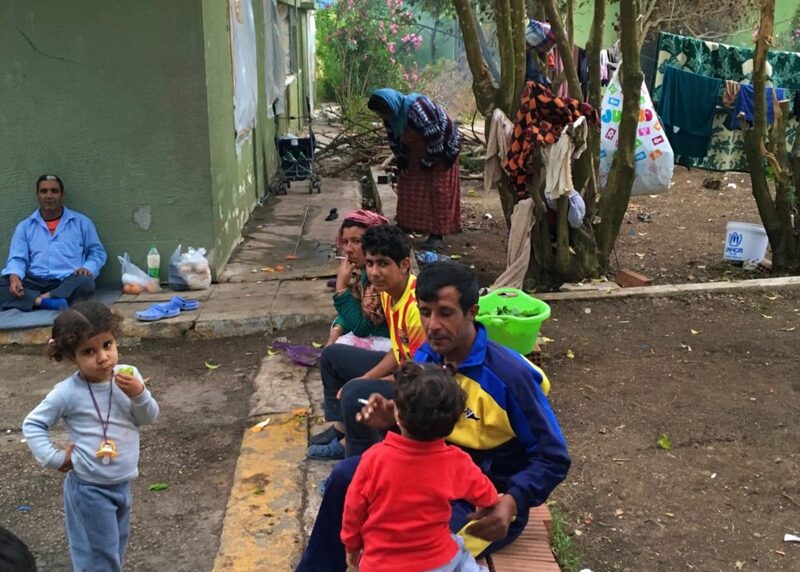 They are Syrian Kurds & also have a 2 year old daughter. 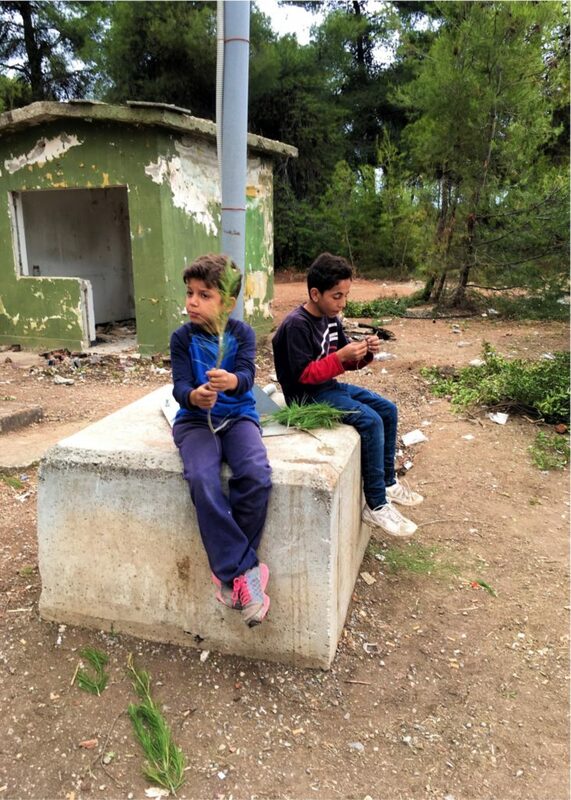 Shero, 10, and Mohamad,13, are both from Alepo in Syria. Shero misses chicken & Mohamad misses pizza. A group of Syrians organised 8 teams, Tishreen; Rojava; Ismael; Jigar; Portugal; Ritsona & Aleppo. There was growing excitement about who would make the semi final. The daily match is all they have to look forward to. Hadi is Hamz’a 7yr old younger brother. He loves running, football, chicken & trees. Like many at Ritsona, Hadi has PTSD-depression & hyperarousal; on edge, irritability, angry outbursts and lack of concentration. Robani, with her newborn Hind-Hani, is 25yrs with 4 children. 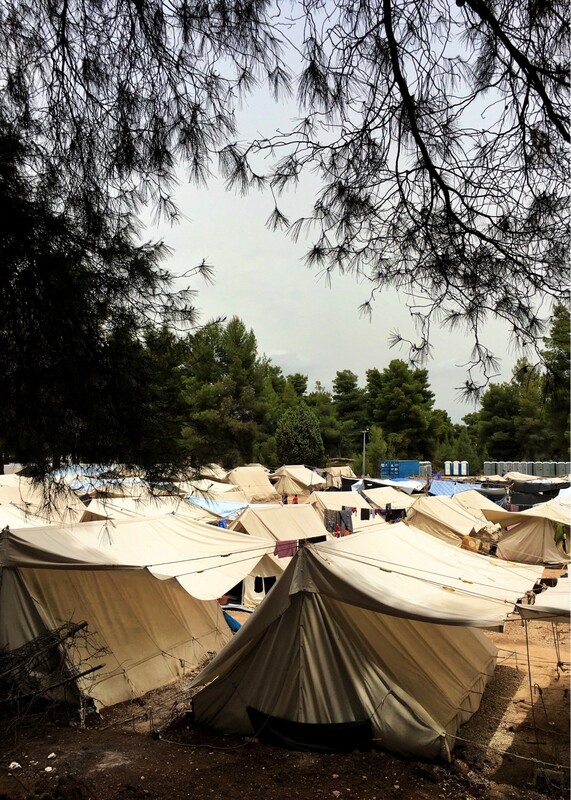 Syrian Kurds and 2 months at Ritsona. This is Hamza’s world, his present, his now normal. He see’s how hope is sliding. If they are unable to leave at all, he is worried. He is 14 years old boy. He wants people to know that the children see it all and don’t know what to do. He wants to do something, to ask the people who control their futures to return them to normal life, to begin the healing & contributing in normal society. In Hamza & his brothers, I see the same as I see in my children, normal kids, and I cannot pass by. People light fires, not only for warmth, but for light, cooking and to ward off the mosquitos, snakes, scorpions & wild boars. Fires are always burning at Ritsona & given that it is in a pine forest, there is a real risk. Indiference and taking the refugee issue for granted is a disturbing trait that runs deep in our society. It is imperative to show this shamefull reality permanently! Caroline’s article is spot on!